Iwasaki files cut with surprising speed and yet leave a smooth surface due to the manner in which the teeth are milled and chemically etched. Combine that with the diagonal groove pattern, the result is a file that will cut like a plane, but with very little resistance and with the built in chip-breakers to help prevent clogging. All of the files are safe edged, allowing you to use them to adjust a mortise and tenon joints like a float or to fine tune the body of a wood plane without digging into the adjacent surfaces. Suitable for all types woods or plastics, their aggressive action provides short detail strokes without compromising speed. 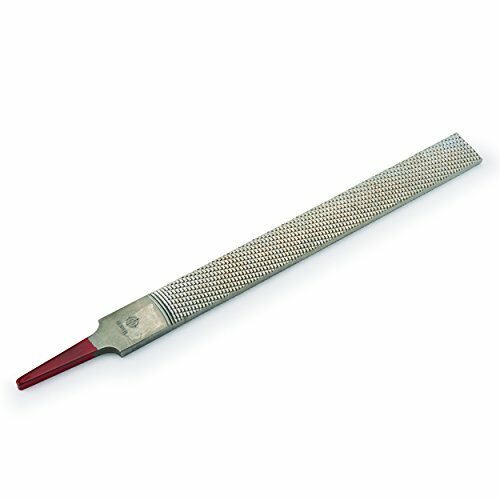 Whether you are working on a carving, or turning a pen with the choice of a medium, fine and extra fine tooth configuration Iwasaki Carving Files offer the right file for your task at hand. If you have any questions about this product by Iwasaki, contact us by completing and submitting the form below. If you are looking for a specif part number, please include it with your message.